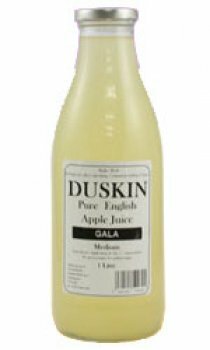 Raised in New Zealand in about 1934 in the Wairarapa Valley, this is a rich, honeyed apple that is often blessed with a perfumed quality. Royal Gala was named by Dr McKenzie in 1965 following a royal visit to New Zealand where Queen Elizabeth II was so impressed by a box of Gala that she requested more. An apple increasingly grown in England, this is a lovely variety, well worth trying.